The Bauhaus German art school of the early to mid-20th century is today associated with several things: its stark white modernist buildings, its emphasis on re-combining arts and craft, and the male artists and architects who taught there, including Paul Klee and Wassily Kandinsky. Often overlooked are the influential women of the movement, especially photographer Lucia Moholy, who took many of the iconic photographs we associate with Bauhaus architecture. Moholy was married to Bauhaus master László Moholy-Nagy, and often collaborated with him. Her work has often been overshadowed by his, and for years was also claimed by Bauhaus founder Walter Gropius as his own. Bang’s poetry puts the focus back squarely on Moholy and other women of the Bauhaus movement, and also draws from her own life to find parallels between those years and the present day. 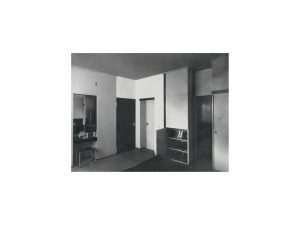 The Bauhaus school sought to respond to the social ills of the time by designing buildings that offered some humanity, making artworks of practicality and beauty and respecting the power of machines — efforts that continue in today’s art and design field. But Bang said she also found herself thinking about how architecture was not the solution to social problems, “unless you also do something with discrimination and education,” including the discrimination of women. Read Bang’s full poem “Two Nudes,” or listen to her read it aloud, below. one day I went with a friend on a walking tour. allegiance to the cruel and fastidious past. the red was also meant to enact spilled blood. came by and devoured us. 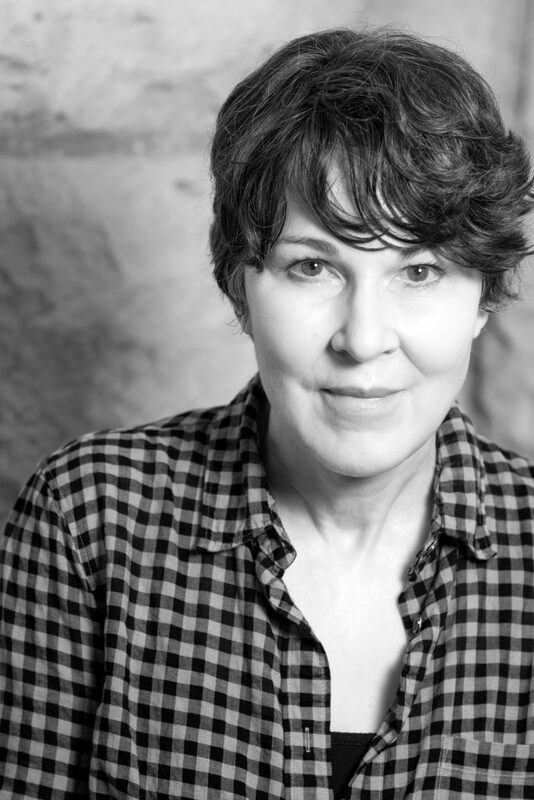 Mary Jo Bang is the author of eight books of poems, including “The Last Two Seconds,” “Elegy,” winner of the National Book Critics Circle Award, and “A Doll For Throwing,” out now from Graywolf Press. Her translation of “Dante’s Inferno,” with illustrations by Henrik Drescher, was published by Graywolf in 2012. She’s been the recipient of a Hodder Fellowship from Princeton University, a Guggenheim Fellowship, and a Berlin Prize fellowship at the American Academy in Berlin. She teaches creative writing at Washington University in St. Louis. Left: "Dressing Room," by Lucia Moholy. Courtesy of a private collection.